Wood-fire grilled fare in the South Bay shopping destination of Manhattan Village. 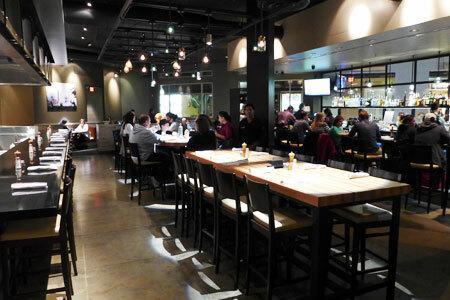 : Brickworks Roasthouse & Grill took over the former LA Food Show space in Manhattan Village. 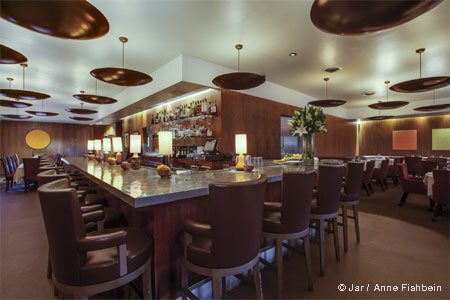 The dining room is flanked by the bar on one side and a counter facing the open kitchen on the other. Meanwhile, the patio features an outdoor bar with a fire pit. Chef/partner Scott Raczek utilizes a cherry wood-burning smoker, a mesquite wood-burning wheel grill, and an almond wood-burning oven for his menu of meats, seafood and vegetables. Dishes include woodfire-roasted oysters, espresso-cured roasted brisket, herb-roasted free-range chicken, and Parmesan crusted salmon, plus prime rib and steaks (hanger, New York strip, rib-eye, filet mignon). Also find salads, sandwiches and burgers, plus homey desserts like carrot cake and baked-to-order cookies with milk. Brickworks boasts local beers, a large bourbon menu and a wine list with an emphasis on California selections.